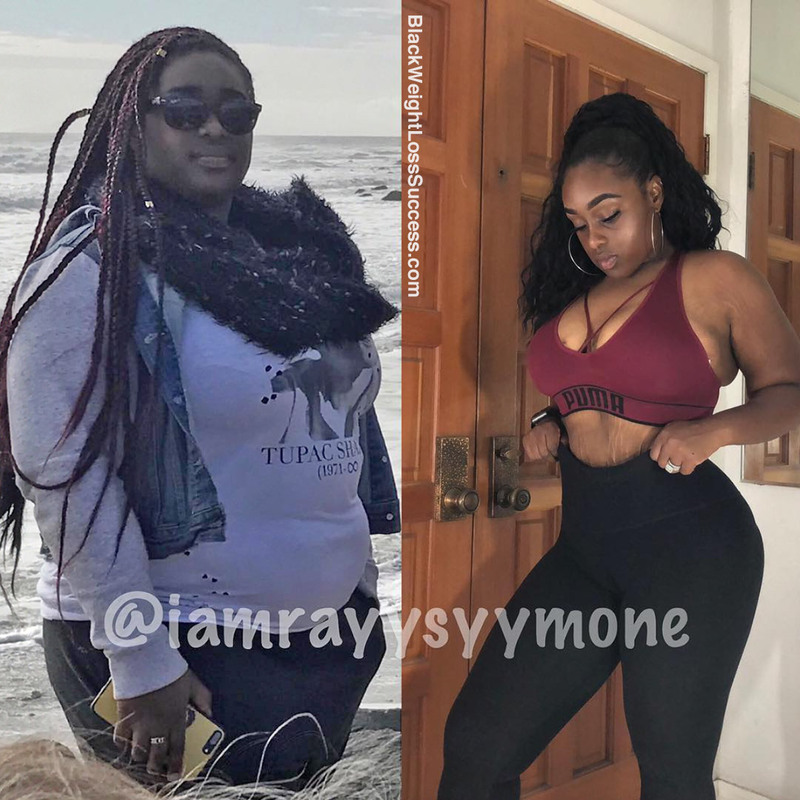 Transformation of the Day: Rayy lost 100lbs in one year. Heart problems, diabetes, high blood pressure, and high cholesterol affected her family line. She knew that she had to change her habits to release the weight naturally and get healthy. 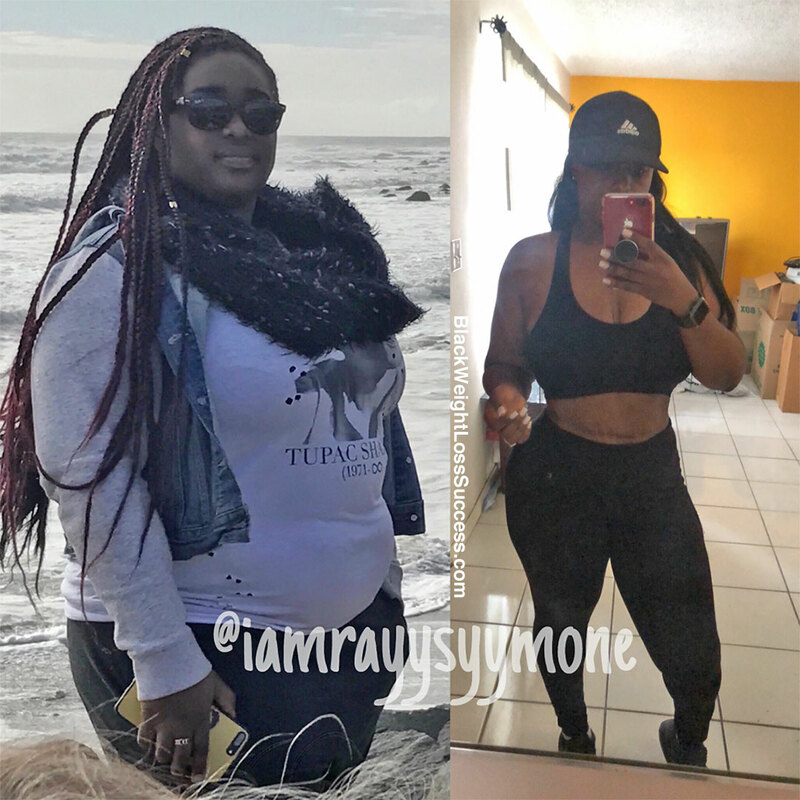 On her journey, she became a vegan and was inspired by her trainer to become a certified personal trainer. Check out her story. My name is Rayy, and I’m from Southern California. I’ve lost 100 pounds in one year without surgery. My highest weight was 275 pounds and at 5’3″. You can only imagine how heavy that looked on me. My entire life has been about me being overweight and very unhealthy. My family history has a lot of heart problems, diabetes, high blood pressure, high cholesterol… and anything else you can think of. Everyone in my family has some type of health issue. Growing up, I definitely did not want to be like that. Everyone in my family dies young because of all the crappy food they eat. I knew I would be next in line to inherit all of those bad eating habits and serious health issues, so I decided to do something about it before was too late. I officially began my journey in June 2017. At the beginning of my fitness journey, I ate meat. I loved red meat, but I never really ate pork. I cut out juice, candy, soda, bread, chips, and fried foods. I went from having these foods every day to just 1-2 times a week. As time went on, my body shut down on me from all the meat that was just sitting in my stomach. I was hospitalized for about three days last year, and that was my reality check. At that point in my journey, I had to make a decision to either continue eating meat and continue to feel heavy and sick all the time, Or stop eating meat and cleanse my body of all the toxins. That’s when I decided to become Vegan. Did I start cutting out all meat in the beginning? Definitely not. However, it was more of a struggle to kick my dairy intake versus my meat consumption. Just like everyone else, I was trying to find a way to incorporate fitness into my journey. I started with cardio, and later I got a personal trainer to help me. My trainer and I worked on HIIT training with added weight training. Working with him was actually my first introduction to the Stairmaster. I had been so intimidated by that machine for so long. After working with my personal trainer for a few months, unfortunately, I fell off. It happens to the best of us, right? At that point, I had to dig deep within myself and question whether I really wanted to lose weight or not. I had to ask myself whether I really wanted to be happy with my weight and if I honestly wanted to live past 30 or 40 years old. The most significant decision for me was, “Will it be food or my health?” We all know that we need food to survive, but food could also kill us. When I finally made the decision to be a healthier me, I started to incorporate weight lifting into my routine, as well as cardio. I was inspired by my personal trainer to become a 175 pound Certified Personal Trainer and Fitness/Health Coach. My mission is to motivate the world to become a happier and healthier place. I know I’m one small fish in the sea, however, sometimes the smallest fish can make the biggest impact. I motivate myself every day by remembering my end goal and following motivational people on Instagram. Every day that I open my phone and get on Instagram, all I see is inspiration from all the fitness gurus I follow. I am currently working on creating fitness apparel, online coaching, and many other things to keep everyone motivated and accountable. Advice: I would suggest to anyone trying to lose weight that they clear their mind of all negative people and things. Also, try something new! Don’t be afraid to try a new workout routine. That voice in your head telling you to stop is only doubt rearing its ugly head. Drink LOTS of water: 1 liter – 1 gallon a day. Make a schedule for your workouts and stick to it. Make it a routine to workout! GET A TRAINER! It’s essential to know where your weaknesses are and how to make them stronger. Trainers cost money, but they are incredibly resourceful. Lastly, MEAL PREP! Weight loss is made in the kitchen! SERIOUSLY! You have to eat better for weight loss and everything else to fall into place. Don’t give up. Nothing happens when you give up, and nothing happens overnight. You’ll lose inches before you lose weight.